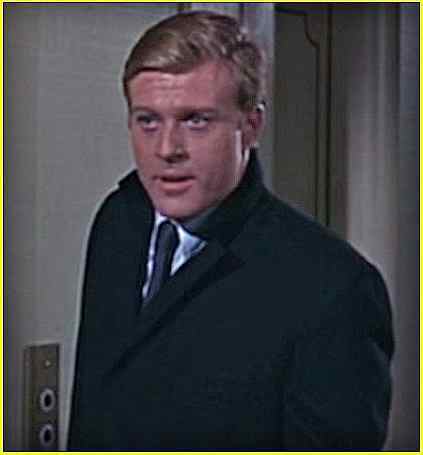 Robert Redford starring in the 1967 comedy Barefoot in the Park co-starring Jane Fonda. Roughly forty-five miles north of San Francisco in the heart of California's wine country is a small town called St. Helena. Among its 5,814 residents happens to be a world famous movie star named Robert Redford. 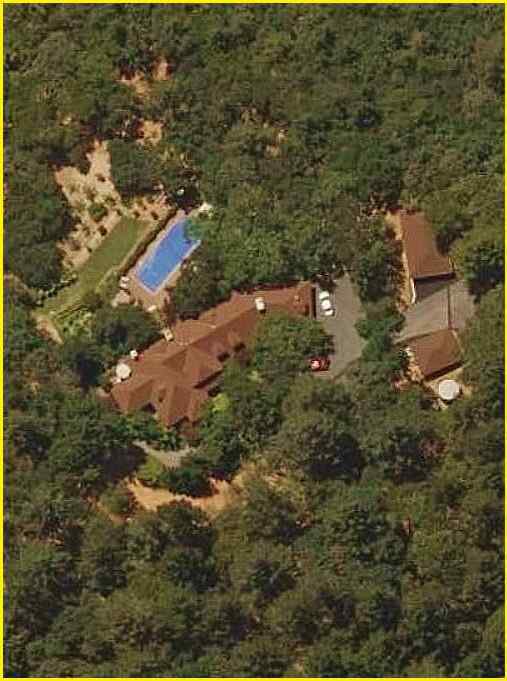 Back in 2004, Redford purchased a very large ranch-style home here on over ten acres of land. 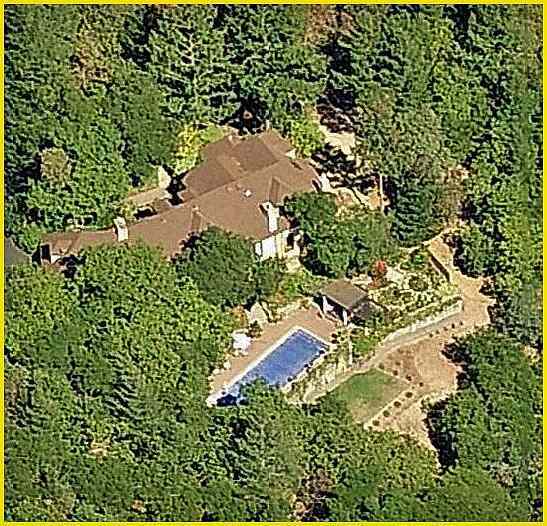 The overhead views of Mr. Redford's hide-away home reveal a swimming pool that looks similar to Justin Bieber's swimming pool at his home in Toluca Lake (pictured below) but bigger. 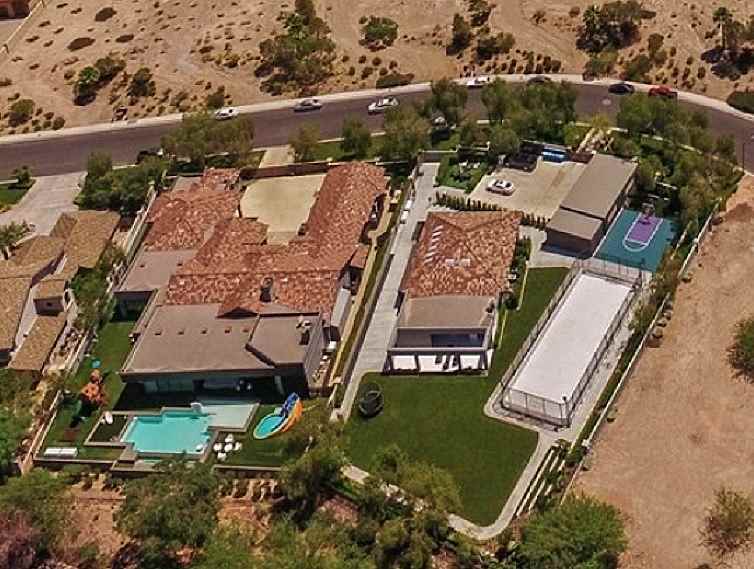 Public property records show that the 4,754-square-foot home was built in 1983 and has three bedrooms & three bathrooms. The trustee of the home is Barry W. Tyerman, a Los Angeles entertainment attorney with an expertise in motion pictures, music, and television. 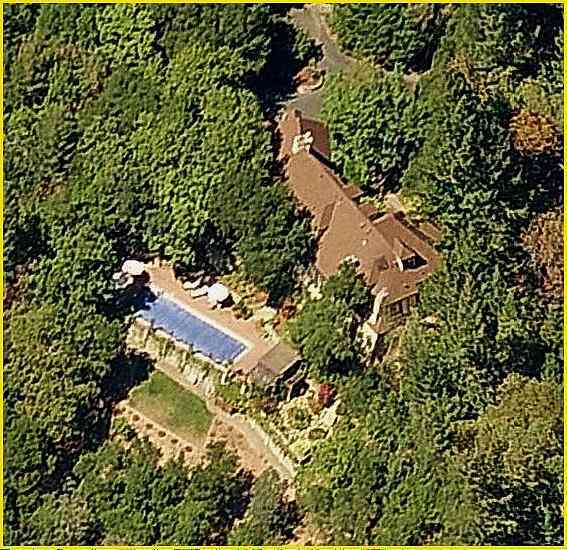 Robert Redford shares the home with his longtime partner Sibylle Szaggars, whom he married in 2009. Redford has won Academy Awards for Best Director for directing Ordinary People (1981), and for Lifetime Achievement (2002). 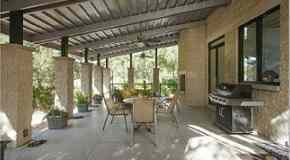 Check out Food Network star Guy Fieri's home in Santa Rosa, California.